A Techno-thriller -- a quantum computer in the hands of cyber-terrorists. To the insatiably curious--science is the greatest adventure. So, when scientists announced the discovery of the 'God' particle in 2012, all the world wondered, "How did they find it?" A decade later, despite his past academic failures and egregious family circumstance, Andrew Lawrence embarked on a journey of discovery, competing against rival scientists to be the first to solve the greatest unsolved mystery of the universe--dark matter--and win the ultimate prize; the Nobel. Emma Franklin, a PhD candidate at Harvard, developed quantum computer software for detecting particle reactions. To the amazement of the scientific community, her work revealed a possible bump in the energy curve that was not predicted by any established theory. At MIT, Lawrence created a supersymmetry model that matched Emma's findings. Their professional collaboration deepened into a personal relationship, but when her quantum computer was hacked, Emma found evidence that incriminated Lawrence. Though she withheld the impeaching material from the authorities, she felt she could no longer trust him. Despite their troubled partnership, the ego of rivals, the threat of cyber-terrorists, and the complexities of nature, Lawrence and Emma persevered on their exhilarating quest to find the 'Holy Grail' of physics. 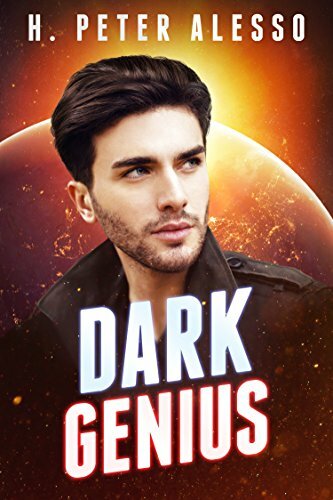 Grab a copy of Dark Genius today.